The MLS Reserves: The MLS, USL, and NASL SuperDraft? The MLS, USL, and NASL SuperDraft? The lights are off, the majority of the media has gone, and the players are chosen, but the effects of Draft Day are still waiting to be felt on the rosters of MLS teams. Now that the stressful and at times chaotic back-room dealings are over, many MLS coaching staffs now have the difficult task of trying to integrate and evaluate the talent. They must now determine if the potential they saw in their selections warrant a spot on their roster. And if history has taught us anything, it is that many of those individuals who stepped onto the stage in Indianapolis have been drafted for exactly that, potential. There are no guarantees that these young men have a roster spot on reserved for them, yet alone if they will see any competitive minutes. The MLS coaching staffs have essentially prospected the chances these youngsters could eventually have an impact on their team. That is where I have decided to do a little bit more investigation. 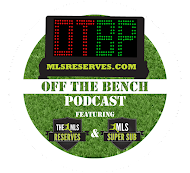 On a recent episode of Off The Bench and The Best Soccer Show, I asked the question, “which teams will the draft picks have a bigger impact on, MLS, USL, or NASL?” With that in mind I decided to do a little research and look into how many players chosen in the MLS SuperDraft ended up playing more for USL or NASL clubs than for the MLS clubs who drafted them. Let me begin by clarifying the criteria I have chosen and the methods involved in the research. For the sake of keeping the research to a manageable size and relevance I have chosen to look at each of the SuperDraft classes from the 2007 and up. The thought here is to keep it in the “Beckham Era” of MLS where many roster changes were made that have made roster spots more valuable as well as keeping the time-frame focused on “MLS 2.0” when the league took a dramatic up-swing in attendance, expansion, and revenue. I also kept the research limited to only the first two rounds of the Draft. The thought process here is that these 30 or so players selected would be considered the more talented of the bunch with the most potential for positive contribution to the team. Teams such as Portland and Seattle were considered if the player was loaned during the club’s pre-MLS days. And finally I only counted players who played around 10 matches for lower division sides and which the number of matches surpassed the number of matches they played for the MLS team who drafted them. For example, if New England drafted a player he would have to have played about 10 matches for a lower division club and not have played more than that number with New England. There are a couple of interesting results that stood out. 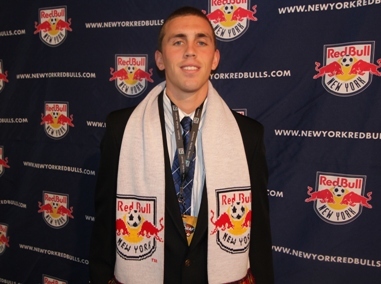 First, the greatest number of draftees in a given draft class to have an impact on a USL or NASL team occurred in 2007 and 2008. Secondly, is that the number of Generation Addidas members has decreased in recent history with a brief couple of years where no members contributed in 2009 and 2010. And of the 190 total players selected in the 1st and 2nd Rounds only 2 players were able to go down to NASL or USL and then later sign with another MLS team and contribute to that team (Bryan Meredith and David Horst). Although only 38 of 190 total players went from being drafted into MLS to plying their trade at the lower divisions of US Soccer that is still % 20 of the sample. And of those 38 players, 18 or over %47 of them are still on an active USL or NASL roster. It is important to also keep in mind that as I sifted through the draftees many of the players in the recent Draft classes have yet to see significant action on their MLS teams and a future move to a USL or NASL team may still be in their cards. These are just a few initial observations. I will leave it to you to add to the discussion and analysis in the comment section below. If you need a starting point follow this link. Enjoy!